If you believe experience matters, then call Lorelie LeBrun for all your real estate needs. 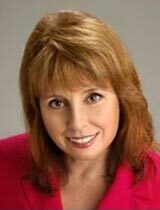 Lorelie has massive experience and has been a Realtor for over 30 years. She is a multi million dollar award winning producer. Lorelie was an Asset Manager for the FDIC and managed the commercial department. She sold over $180MM in commercial bank owned properties. She can negotiate the tough deals. Lorelie is an expert on handling foreclosed residential and commercial properties and can navigate through the auction or bidding process. Lorelie also has a banking background in the residential and commercial lending department which comes in handy when her buyers are getting a mortgage. Lorelie believes in taking quality pictures and has received many compliments from sellers on her internet presentation of their listings. Lorelie also has a Mobile Home Brokers License to assist sellers and buyers who own homes in Land Lease Parks. �I work Hard and Honest, Sell or Buy with Lorelie� !!! Call 352-613-3988 today.